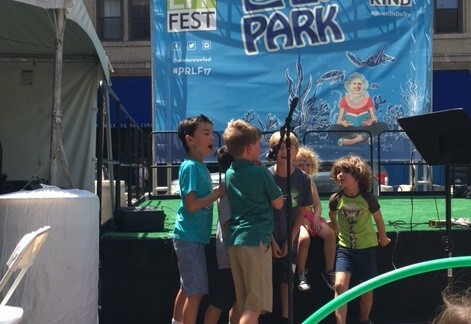 Building a live podcast where kids direct the action. 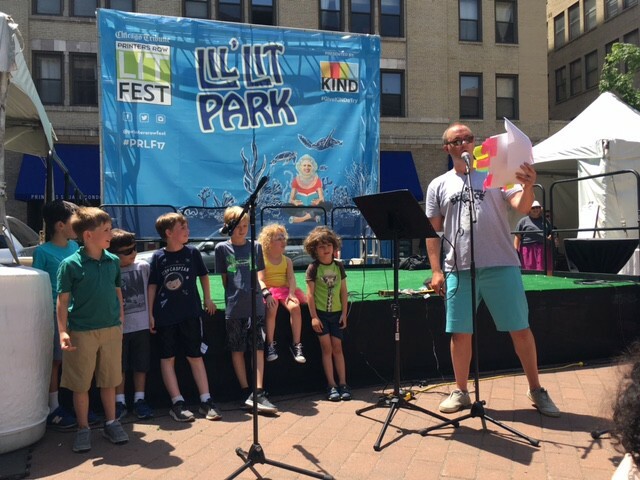 On Sunday, we held the first Alien Adventures of Finn Caspian live show at the Printers Row Lit Fest in downtown Chicago. It was hot. It was insane. I got booed. I loved it. The operating principle of The Alien Adventures of Finn Caspian is that it’s kid-powered. I write and produce it, but kids send in ideas, suggestions, jokes, everything to help inform and shape the episodes. I wanted to recreate that handing-of-the-keys in a live setting, so I wrote a “Choose Your Own Adventure”–style story (though CYOA is a trademarked term, so technically it was “Select Your Personal Excitement.” SYPE!). I’ve studied the structure of the CYOA stories a bit, reading them to my son, but doing one live is obviously different than reading them on the page. CYOA stories clearly have a complicated formula, with at least a half-dozen endings, and knotted trails that loop through each other. There are actually a lot fewer decision points than you probably think or remember, but part of the fun is retracing your steps if you come to a dead end. Doing a live show like this meant there would be a lot less retracing, a lot less digging back through the trail to see where you went wrong. So I separated the story into less of a knot and more of a Venn diagram, where storylines could easily overlap and weave in and out of each other. The easiest way to do this for my simple brain was to think of it geographically, so I had the characters land on a planet with three separate paths, a mountain, a forest and a valley. That way they could easily go up or down and in or out of those three distinct landscapes, and the story could remain fairly simple. It’s probably obvious to you that the way the live show would work is that at each decision point the audience would cheer for which way they wanted the story to go. Into the dark forest? ROAR. Up the mountain? *whimper. * Okay, up the mountain we go. But I also added another element to the show to give kids a louder voice. We have something on the show called Griffin’s Sound Club that my son made up, where we ask kids to make sounds at home and send them to us to use in the show. So we did a live Sound Club, with about six or seven kids up with us, making the sound effects as the story went on, with occasional prompting from me. Tracking the SYPE story on the computer was simple enough. I wrote it in Google Docs and placed bookmarks at the various beginnings of different trails, and linked to them from the decision points. So it was just a matter of clicking on the link at the end, and going directly where I needed to go. I wasn’t as keen on the idea of reading off a device in front of kids for the live show. And, I thought it might add a bit of intrigue, drama and comedy if I stood up there with a thick pile of pages in my hands and the audience saw me struggle to make sense of it. So I used colored sticky notes, labeled with a somewhat inscrutable code to help me through the different paths. All in all, I stood up there with 30 pages in my hand, of which I probably read 12, and just plowed forward as best I could. My best was…adequate. I wrote the story over the course of a couple weeks, but really struggled with the ending. In a CYOA story, there are a handful of endings, many of them disappointing or kind of duds, depending on what path you chose. But in a SYPE story, I didn’t want to write a dud ending. It had to crescendo in some way. 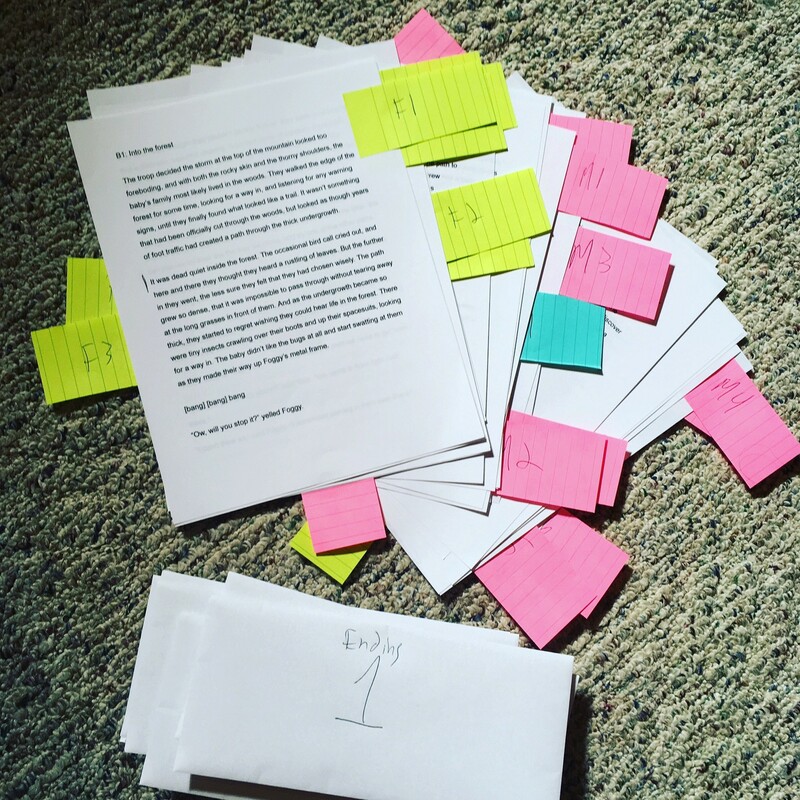 Two days before the show, I came up with the idea: I would write a handful of very short endings, stuff each one into a numbered envelope, and the audience would tear through them all by shouting out numbers. Then I could I could introduce a little ridiculousness by tossing envelopes, tearing up bad endings, etc., and having fun with it, leading up to the final ending, which gave a proper dramatic closing to the story. THE BOOS. DEAR LORD, THE BOOS. I introduced the show at the beginning by talking about how I loved CYOA books as a kid, and explaining how they worked. I talked about how the stories had dead ends, and that it always seemed to me that in every CYOA book, a character met their fate by being eaten by a saber-toothed tiger. I assured the audience that this story took place on another planet, so while the characters would be put in peril, but there were no saber-toothed tigers. Get help. Trying to run sound from the phone, orchestrate the sound club, ensure a good recording and do various voices (I ran my voice through a KORG Kaoss Pad with about five different presets for various robots and aliens), plus juggle 30 pages of SYPE story was too much. A couple things were bound to fall off. Do it live. Online. I see a lot of podcasters doing cool things with Facebook Live, YouTube streaming, etc., but I never really saw much use for it for my show. But now, why not? 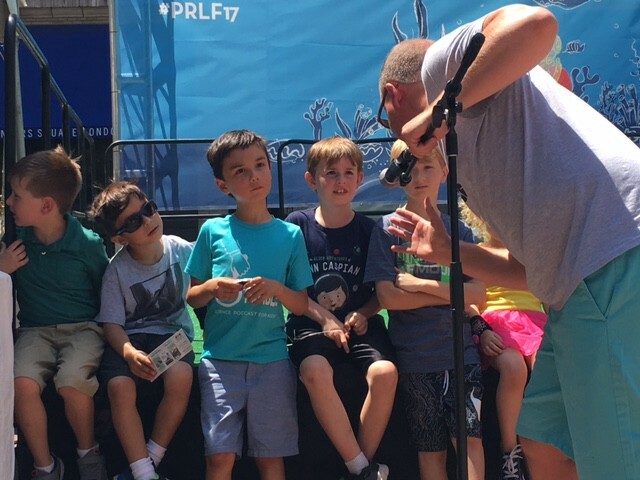 At the end of the show, I invited kids up so they could hear their voices through the robot mic, get some stickers and buttons and have a frazzled writer sweat all over them. Who doesn’t want that for their kids?